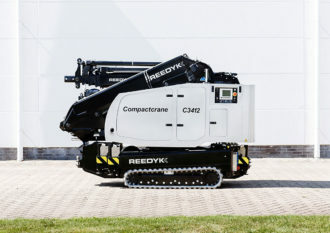 Setting the modern standard in heavy lifting is the all new series from Reedyk Compact Cranes. This exclusive design provides not only ease of use, but also versatility that our customers deserve from a modern compact crane. Furthermore the innovative and technical design of these ‘Intelligent’ machines, provides unbelievable power and lifting capacity. All this despite the whole Reedyk range being seated on a tiny chassis. 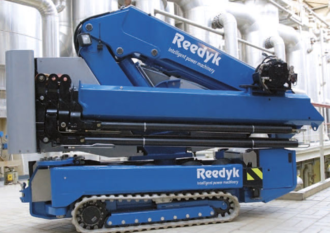 Reedyk Compact Cranes have used their expert knowledge in hydraulics, mechanics, control technology, and also electrical engineering to create tailored solutions. Every crane we sell is simple to use and easy to manoeuvre, even in places which were previously inaccessible. The patented, and also easy to use remote control system conveniently takes care of the machines functions. This is achieved due to the useable tablet or PC application. As a result our Reedyk Compact Crane range is not only fully retractable but also precise in every manoeuvre that it makes. 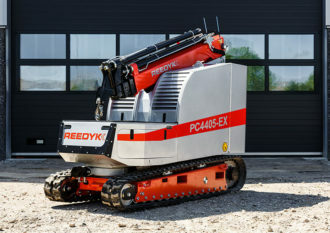 Reedyk compact cranes are safe and flexible, useable but compact and also extremely powerful. Reedyk Compact Cranes are not only ideal for moving heavy loads in complex situations, but also in a locations with difficult access. All these features mean Promax Access can offer our customers powerful lifting capabilities, and also right where they need it! Please feel free to get in touch if you would like more details. Alternatively, our friendly staff are always on hand to answer any questions that you may have on 01226 716657 and also via our handy live chat function.